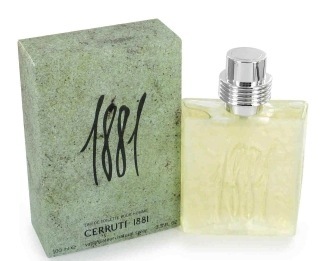 Cerruti 1881 Pour Homme is a stylish fragrance that is fresh, aromatic and very chic. 1881 is an invigorating fragrance. Cerruti 1881 Pour Homme opens with a clean, crisp and energisng blend of bergamot and black currant.These quickly mellow into a piquant and aromatic middle of lavender and vetiver to bring a masculine and sensual dimension to the fragrance. 1881 Pour Homme ends with a elegant and woody base combining cedar, oakmoss and patchouli.